This week the theme for #SundaySupper is Regional Specialties and I can’t think of anything that means Alaska MORE than salmon, can you? Maybe pilot bread?  Or if you’re thinking general region being the Matanuska Susitna Valley and then that’s potatoes. Yes, I could have gone the all-carb route but I chose SALMON because we love it. And we caught a lot last year so I need to use it up. It’s a 2 for 1 over here, a post AND eating down the freezer. We dearly LOVE salmon tacos and this recipe for Spicy Alaska Salmon for Tacos adds a spicy kick to a family favorite. You might think you would love to have the “too much salmon” problem and you might actually enjoy for a year. Maybe two at the most. And then the ones you love, they turn on you, they refuse to eat another salmon patty, salmon loaf, grilled salmon steak, salmon fish stick. In fact, they might just refuse to even set foot in the house if you’re cooking salmon. Don’t get me wrong. These people are same exact people who catch all the salmon, who excitedly pack everything they own in the car and go sleep in not-their-bed to catch salmon. Yes, those people who gleefully bring it home will turn on you. So you have to go about the whole “eat 45 salmon a year” thing very, very carefully, dole it out in just the right amount, about every ten days in various forms will get you through your freezer of salmon without revolt. 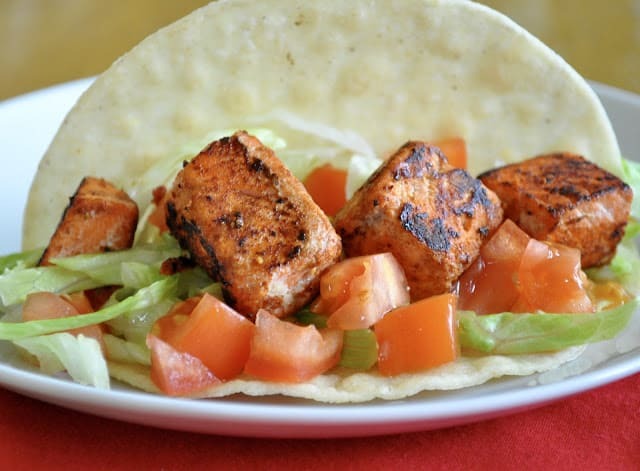 This SPICY variation of my regular Mild Salmon Tacos, if you don’t like the heat check those out instead. 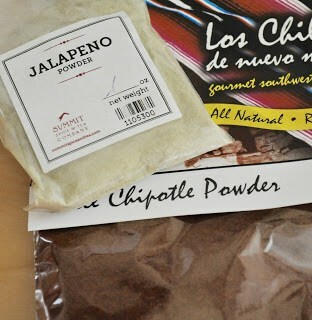 To get the heat for these tacos I lean heavily on fiery chipotle chili powder and jalapeño powder both of which can be found on Amazon or in spice shops. 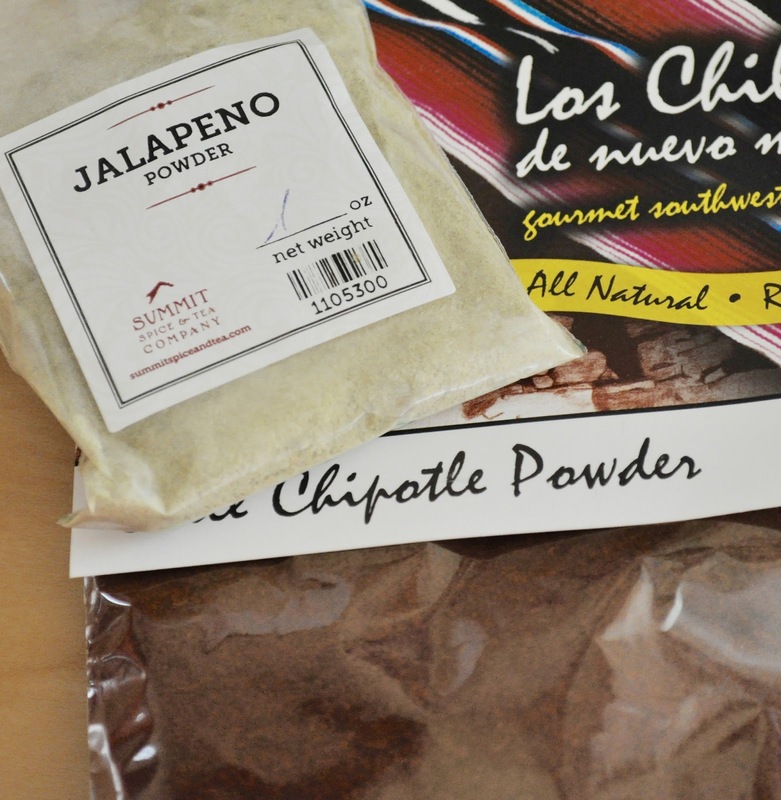 Be careful with the jalapeño powder, it’s very light and airy, when you open the bag it floats up into your face, it will make you sneeze or choke so be aware and open carefully! And of course feel free to tone down any of the peppers in the spice mix to suit your heat limit. 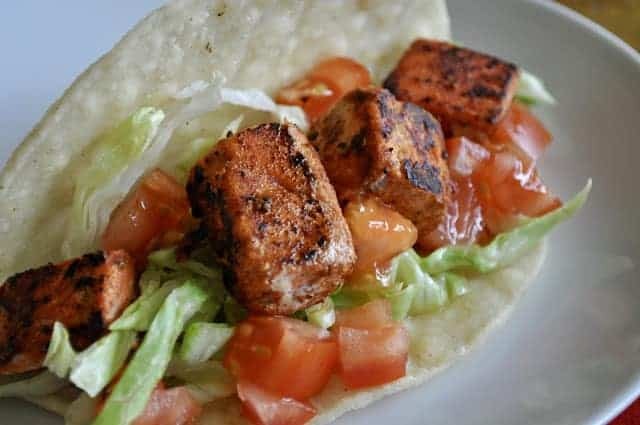 If you’re low carb and you want to make low carb salmon tacos use my easy recipe for low carb tortillas. They take a bit of work but they are so good it’s worth the time and effort. We catch a LOT of salmon up here in Alaska, our freezers are full. Being an Alaskan Blogger I would be remiss in not sharing our this recipe for Spicy Alaska Salmon for Tacos. Enjoy this new spin on Alaska Salmon. I eat salmon at least two or three times a week – always wild from Alaska. I actually have it shipped to me frequently and stash it in my freezer. Then I roast it without thawing – no one would ever know it's been frozen. But don't take the skin off – that's the best part! Love salmon tacos! Ohh I would love to have these for dinner, I love salmon! 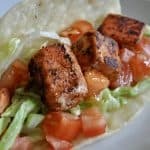 Salmon tacos? That is a very good and original idea! I love kicking up the spice on salmon. It just goes so well together. Do you ever do smoked salmon? We're going to smoke up most of the rest of ours soon (after our babies arrive and I'm back on my feet). 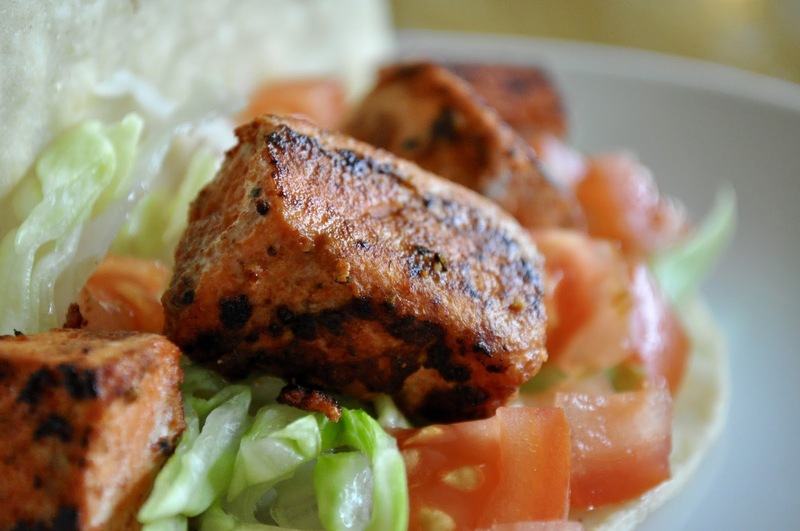 I am a real salmon lover and I love the spices you've used on this salmon! Looks great too. I've never been big on salmon, but this would be excellent with halibut too!! I've never had salmon tacos, but I think these spices would be excellent with it. It's quite a versatile fish. We love salmon too! 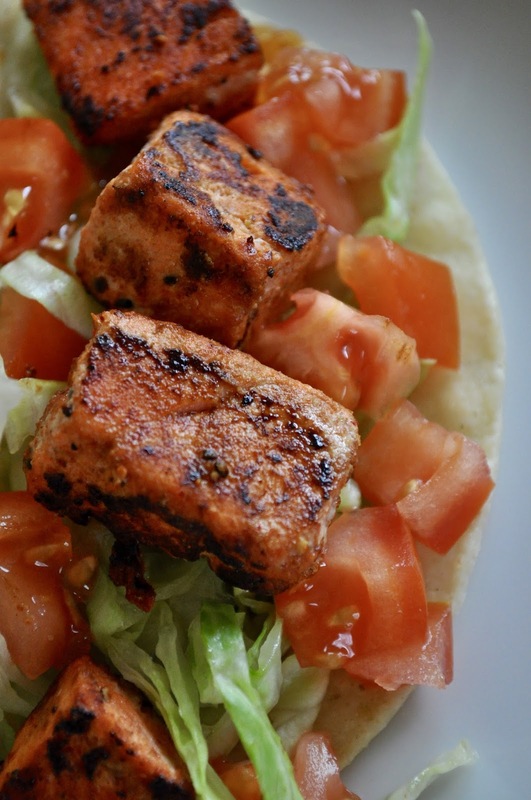 Your spicy salmon taco is very much an elevated fish taco….Yes, please! That has my name written all over it!